Small family room with one double bed and one single bed, Sat TV, tea/coffee facilities, air-condition, fridge, en-suite bathroom with shower, exit with veranda to the garden and pool. Livingstone is fast becoming an attractive holiday and business destination for visitors from around the world to Zambia. 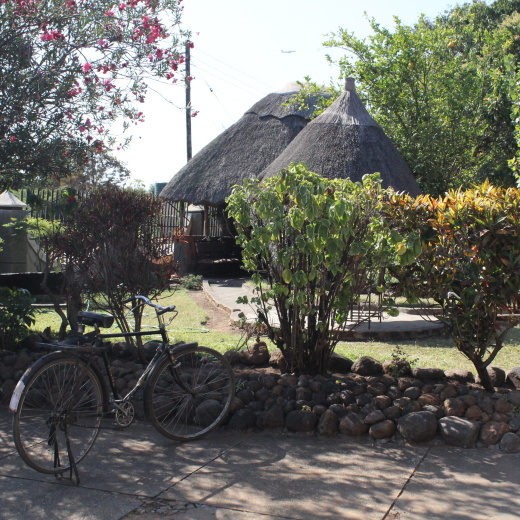 Stay with us at The Stone Guest House and experience Local Zambian Culture and Friendliness. Our central location in town will let you enjoy easy access to all the important amenities, adventure tours and other activities on offer in the area. 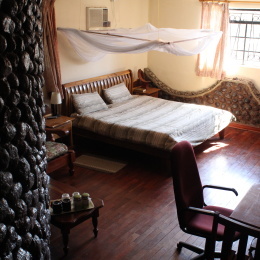 With our wide range of rooms and rates, you will be sure to find what suits you best. Relax in our garden with a cool drink and let us take care of tedious organization of safaris and other adventure trips for you. This simply is ZAMBIAN HOSPITALITY at its best – and – it comes at no additional cost to our guests. We are family friendly and can provide an extra bed and a cot in some of the rooms. We do operate a no smoking policy in the rooms, but you are free to smoke anywhere in the lovely garden, at the pool side or at the bar. We do not allow smoking in the rooms. Guests can smoke in the garden area.